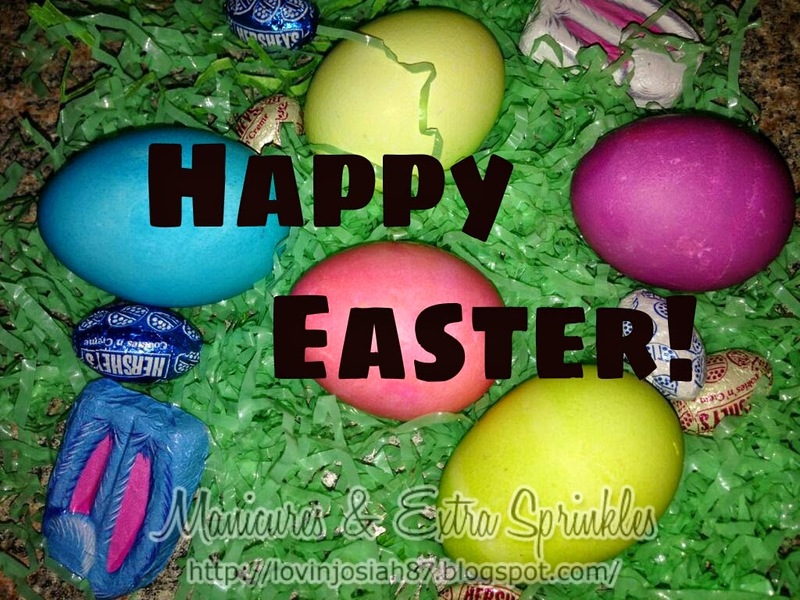 We died eggs a few days ago and Josiah had a blast! He helped me mix the colors and basically did everything himself. Fill your cups halfway. Add a tablespoon if vinegar. Then we added about ten drops of food coloring. That is a great way to have your child counting. 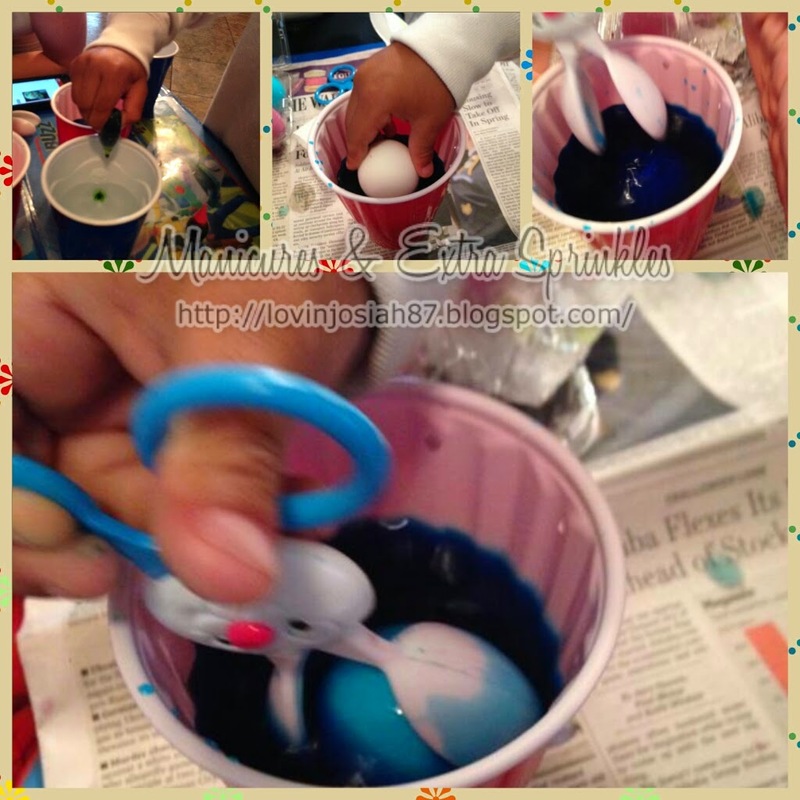 then drop your egg in carefully then fish it out when it is at your liking of color! We actually did the process twice an the second time, added a few more drops of food coloring to brighten the colors or the next batch.